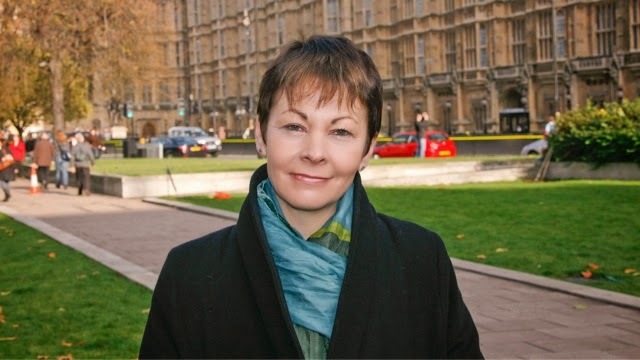 Green MP Caroline Lucas has questioned whether a donation to the Conservatives made by a minicab firm owner is behind changes to Taxi and private hire regulations. She told a debate in Parliament that a £500,000 donation made by Addison Lee chairman John Griffin may have influenced the government's policy. 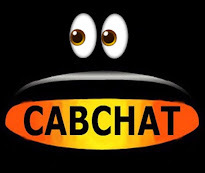 Annual checks on minicab licence holders are to be replaced with reviews every three years under ministers' plans. But Addison Lee "categorically" denied any attempts to influence legislation. And a spokesperson for the Department for Transport said: "This is a bizarre claim, perhaps based on a misunderstanding of the proposals, which apply only to Taxi and private hire services outside London. "They would therefore have no impact on Addison Lee's operations, which are within London. "We believe our proposals will have a discernable and beneficial effect on the Taxi and private hire trade and for passengers." 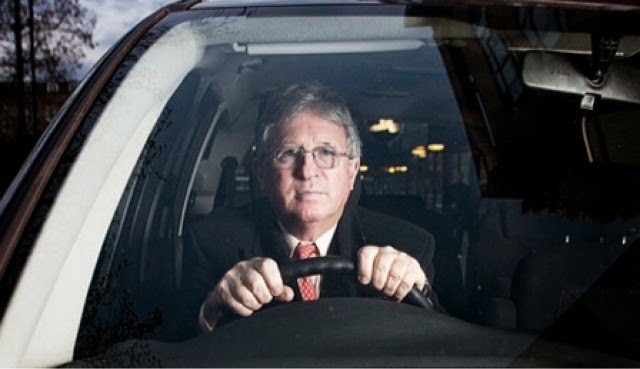 But a spokeswoman for Ms Lucas responded that Addison Lee bosses had told the Evening Standard in 2013 that they were keen to expand the firm to other cities in the UK, so there was nothing "bizarre" about suggesting that deregulation of minicab firms outside London was in their interests. Ministers have pre-empted a review of Taxi and private hire regulations by the Law Commission and included the changes to Taxi and private hire regulation in the Deregulation Bill currently being considered by Parliament. Speaking in Westminster Hall, the Commons' secondary debating chamber, Ms Lucas said questions needed to be asked about why such "potentially dangerous" changes were being "rushed through". And she questioned the role played by Addison Lee and its chairman John Griffin. "We know there's good money to be made from the taxi and private hire vehicle or minicab industry," she said. Mr Griffin gave £500,000 to the Conservatives in 2013. "Addison Lee have made so much money, they're actually giving it away in large quantities to the Conservative Party." "Are we really supposed to believe that Addison Lee has had no influence on the move to push amendments through before the publication of the Law Commission's in depth review?" Mr Griffin, she claimed, was "clearly a man with a potential political agenda". "I think we cannot help but ask ourselves what might he want back in return for his large donation." Mr Griffin donated £500,000 to the Conservatives in July 2013 while Addison Lee donated £254,045 to the party between December 2008 and September 2011. Addison Lee said Mr Griffin had made his donations to the Conservatives "in a personal capacity". "Whilst Addison Lee believes a review of the current UK taxi and private hire laws is long overdue, we can categorically confirm that none of our staff or directors has attempted to influence any early amendments to this legislation," a spokesman for the firm said. "We welcome the chance to have our say when the Law Commission publishes its review." Changes proposed in the Deregulation Bill include a ban on ordinary licence holders driving a private hire vehicle when it is off-duty, while firms will be able to subcontract work in future. The Law Commission is taking submissions on changes to the regulation of the industry, which were intended to be brought to Parliament in a separate bill. Transport Minister Stephen Hammond told MPs the decision to include new laws in the Deregulation Bill was "pragmatic" and would allow "immediate progress" to be made. Yesterday's Debate On Taxi And Private Hire Deregulation, Westminster Hall. It is a pleasure to serve under your chairmanship, Mr Chope, and to have this opportunity to raise some important issues in relation to the Deregulation Bill. I am delighted that the Minister is here to respond. I am speaking up for my constituents in Easington who are likely to be affected by the amendments that the Government made to the Deregulation Bill in Committee. I am also speaking up for Unite the union—of which I and many taxi drivers are members—and the GMB. I am also speaking on behalf of a number of stakeholders who feel disfranchised by the Government’s truncated consultation. It might be useful if I mention the background and where we stand with consultation. Back in July 2011, the Government asked the Law Commission to consider wide-ranging reforms to taxi and vehicle licensing legislation. The Department for Transport asked the Law Commission to undertake a comprehensive review with the aim of modernising and simplifying that legislation. There is no doubt that taxi and vehicle licensing is a complex area, and many right hon. and hon. Members have concerns about the effect that the amendments are likely to have in their constituencies. In May 2012, the Law Commission launched a wide-ranging consultation on the Government’s proposals. Indeed, the industry has many stakeholders who have been involved in that ongoing process over the past two years. In parallel with the Law Commission’s ongoing review, however, the Government launched another review with a truncated 10-day informal consultation on three specific new clauses that were added to the Deregulation Bill in Committee. The long consultation process under the auspices of the Law Commission is still ongoing, but I understand that stakeholders and industry and union representatives were told on Friday 14 March 2014 that the new clauses would be added to the Deregulation Bill. That is unacceptable. Will the Minister give an explanation? I have sought advice from a number of stakeholders not just within my trade union but within the trade, and the only conclusion I can draw is that the Government have decided that there is insufficient time to allow due consideration of the Law Commission’s draft Bill before the general election in 2015. I congratulate my hon. Friend on securing this important debate. Is he saying that the Government have pushed through three amendments to the Deregulation Bill while there is an ongoing consultation? As has been demonstrated by the objections raised by all concerned parties outside Whitehall, the policy is clearly contentious and there are a number of different viewpoints. Indeed, I have had a couple of debates over the past few days, including one this morning on local radio, and there is a huge degree of contention on the pros and cons of the three new clauses. Nowhere in the guidance do I see a reflection of the current situation, in which such a disparate industry with such disparate views, and with many different stakeholders and interested parties, was given only 10 days’ notice of the proposals. This rushed and ill-thought-through process has caused real concern among my disabled constituents. Would my hon. Friend welcome an assurance from the Minister that the Government do not propose to make any changes to section 37A of the Disability Discrimination Act 1995, which makes it illegal for minicab drivers to refuse to carry guide dog owners simply because they are accompanied by a guide dog? My hon. Friend makes an important point. Although I welcome the Government’s assurances on that specific issue, I am concerned about the Government’s amendment on contracting out. A customer might telephone a private hire company for a particular reason. They may have a disability or a preference, or they may get a better price. Unfortunately, some taxi operators discriminate against disabled people by charging them a higher premium. There are considerable and worrying implications for disabled people, even if we accept some of the Minister’s assurances. I congratulate the hon. Gentleman on securing this debate. He will surely accept that the Deregulation Bill is going through the Commons and the House has yet to complete its consideration of the new clauses. Surely, he cannot possibly object to one of the new clauses, so this is my simple question: why should we not allow a private hire vehicle to be driven, when off duty, as a normal vehicle, thereby freeing a family from the need to run a second car, particularly given the cost-of-living crisis that he so frequently asserts? There is a reason, which I will address in more detail. On the immediate question, there is ample evidence, particularly in the City of London, of a problem with unlicensed taxis and rogue minicab operators. If people drove around in private hire vehicles, it would be much easier for them to pick people up and engage in illegal activity. 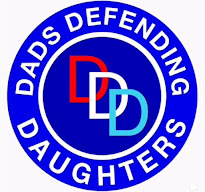 I have seen figures showing that in London last year there were 260 assaults and 54 rapes, so we should be cognisant of that. If we look at the Bill in a broader sense, the Government are trying to deregulate health and safety, and the new clauses affect health and safety in a number of ways. Women are being attacked in unlicensed taxis, for example. Eighteen months ago, if I went outside not far from here, an unlicensed person would be touting to take my fare at an extortionate price. Finally, in answer to Guy Opperman, the taxi is primarily a working vehicle. That is a fundamental difference. To police that, a family vehicle and a working vehicle have to be distinguished. I agree with my hon. Friend’s point. The fundamental point that I was trying to make before that series of interventions is that the Public Bill Committee did not have the opportunity to consider properly representations from the trade in the time scale allowed. My understanding is that these new clauses had not been tabled when the evidence sessions were held. It is important that those representations are properly considered. A number of important stakeholders—including the Local Government Association, which has contacted me—have said that the informal consultation on the measures has been completely inadequate. What is the point of the Law Commission going to the expense of compiling a detailed report if we are not going to wait for its outcome? Undoubtedly, a considerable amount of time, money and effort have been spent on it, and Members should have an answer. If the hon. Gentleman does not mind, I will make a little bit more progress. I am sure that he can make a fuller contribution in a moment. [Interruption.] Well, I did give way to him once already. I think that that is a fairly accurate statement of fact. To go into the specifics, the first of the Government’s three proposed new clauses would allow drivers, as Guy Opperman said, who do not hold a private hire vehicle licence to drive such a vehicle when it is not being used as a private hire vehicle. I read the text of the Minister’s response in Committee in Hansard, and in mitigation he indicated that London was a precedent for the proposed changes. We have to recognise that London has one of the largest taxi markets in the world and is a truly global city. We have heard arguments about exemptions for investment in transport. A figure that I often quote is that the investment in transport infrastructure in my region is £5 a head, and in London it is £2,900 a head. If we are using precedent as an example, we should have a 500-fold increase in investment in transport infrastructure in the north-east. It is not always appropriate to use precedent. Compared with the rest of the country, the situation in London is rather different in terms of regulation, enforcement and Transport for London. Under the new clause, family members will be free to use a private hire vehicle on a personal basis, so long as they do not use it for private hire. The Minister said that it would be totally straightforward to identify abuses, but it would be hugely problematic. I was trying to imagine how someone could be stopped on suspicion of committing that abuse, and that should have full and proper consideration. It was one of the reasons for setting up the Law Commission consultation. I congratulate the hon. Gentleman on securing this important debate. On the overall review, he must have seen the judgment by the Court of Appeal on Stockton-on-Tees borough council and the taxi trade. The court said that it could only do a certain number of things, and the rest was left to Parliament to review. Does he agree that, if we are going to review this, we should review the whole thing and ensure that there are proper criteria and a structure with one piece, rather than numerous pieces, of legislation dealing with it? That would only be fair to all taxi drivers, including those in my constituency. The hon. Gentleman makes an eminently sensible point, which is the one that I am trying to make. We should not approach the matter in a haphazard, piecemeal fashion, particularly when we have set in train a major review and are consulting with all stakeholders, not all of whom would agree with me. That seems sensible, and I cannot for the life of me see the logic in ploughing ahead with these changes in such a piecemeal fashion. The hon. Gentleman talks about stakeholders, but does he accept—on BBC radio this morning, he debated with one of the stakeholders, who made this case robustly—that the change will bring a considerable number of new jobs to the north-east? Lord knows we need them, and the hon. Gentleman often makes the case for them. I did have a debate this morning with a representative of Blueline Taxis from Newcastle. One of my hon. Friends wants to talk about some of the problems that have arisen, so I will leave them to respond on that. There is a consequence to what we are doing. I hold taxi drivers in the highest regard. I socialise with a number of taxi drivers. I count them among my best friends, and I want to keep them. I do not want their status and prestige to be undermined by unlicensed taxis and the potential consequences of rushing this ill-thought-through legislation through Parliament. Does my hon. Friend agree that there is a consensus across the trade that this piecemeal approach is not what is needed? We need to wait for the Law Commission to bring forward holistic legislation, as Rehman Chishti said. Contrary to the views of Guy Opperman, that holistic approach will lead to safer taxis and more jobs for people than the Government’s piecemeal approach. I absolutely agree with my hon. Friend’s point. There are dangers, not only to the trade, but to the safety of the travelling public. I mentioned some of the campaigns that have been run, which I support, on alerting people to the dangers of unlicensed and unauthorised taxis. Police figures show that 214 women were sexually assaulted in London last year after getting into illegal minicabs and unlicensed taxis, and 54 were raped. My concern is that new clause 8 would increase the number of unlicensed drivers pretending to be legitimate and make the enforcement process against the illegal use of licensed vehicles almost impossible. In particular, when we factor in the subcontracting amendment, the taxi might well be from another area, if we are looking outside London. I congratulate my hon. Friend on securing this debate. He is talking about passenger safety, but I wondered whether, in addition to the other issues with the Deregulation Bill, increased deregulation also creates issues for driver safety. In Oldham, there is big concern about that. There has been a spate of attacks on taxi drivers, and there are concerns that deregulation will make them more vulnerable. That is a legitimate point, which I hope the Minister will consider on Report, along with whether we should wait for the Law Commission’s report. There are also concerns about new clause 9, which would set a standard duration of three years for taxi and private hire vehicle driver licences and five years for private vehicle operator licences. Industry and trade unions expressed concerns during the limited time available. The National Private Hire Association and the Institute of Licensing said that the clause would remove the flexibility from councils, and there are already concerns about how effectively drivers are scrutinised. I raise that because local authorities have a degree of flexibility. Indeed, it was pointed out to me that the three-year licensing period already applies in London. However, an authority might wish to have annual licensing of drivers and operators, which is currently permitted under legislation, as that is a proven way to keep track of behaviour and to take remedial or preventative action. Although local authorities impose licence conditions on private hire vehicle drivers and vehicle operators that require them to report criminal convictions and changes to their medical status within a specified period, those are often ignored. Even in relation to drivers’ licences, where the police are supposed to inform the local authority of any recordable convictions and have discretion to inform the local authority of minor matters, information is often haphazard. Some local authorities get information directly from their local police forces, but there are very few instances of local authorities receiving information from police forces that do not cover their area. That is important because one of the Government’s amendments will allow subcontracting, so a taxi or private hire firm might come from another area and be covered by a difference police force. On private hires operating in an area where they are not licensed, if they are going there simply for private hire, that may be lawful. However, if they then carry on and park in a stand-by, that would be illegal and that would put more pressure on the local enforcement authorities’ resources. Does the hon. Gentleman agree that that must be addressed? I do. The hon. Gentleman has made a couple of really good points. The other aspect that I thought of when considering the arguments is that, to the best of my knowledge, the licensing budget is ring-fenced on the basis of fees and charges. Therefore, if a local authority is ring-fencing a budget based on a licensing and inspection regime on an annual or two-yearly basis and that is then changed to three and five years, there will be a commensurate drop in income. If that is how the enforcement officers are paid, that must impact on their ability to take enforcement action. That is a good point. There are a number of implications to extending the licensing period and it is not all good news, as some of the operators would have us believe. Consequently, it is good that local authorities have some discretion. One of my principal concerns relates to the Government’s amendment to the Deregulation Bill that allows private hire vehicle operators to subcontract and book an operator licensed in a different licensing area. When I was reading Hansard, I saw that the Minister said that that will give customers more choice and that it may be advantageous in that passengers could ring up their local provider if they did not know who to call. However, passengers may well not want to use the subcontractor sent to their door. Does the hon. Gentleman agree that one of the good things about our taxis in this country is the local knowledge that people need to have? That sets us aside from many other countries in which we are suspicious of taxi drivers and where they are taking us on their meters. I am grateful to the Brighton Sudanese Taxi Forum for alerting me to this issue. Does he agree that deregulation that leads to subcontracting to a taxi company outside a city is fraught with danger in terms of local knowledge? Again, I completely agree. It is very unusual for me to agree with Government Members—[Interruption.]. Apart from Guy. That is an excellent point and I hope that the Minister will take that into account. Quality is an issue, and in some cases the name of a company is important. People may book on that basis and choose not to book others on the same basis. The customer may have experienced many problems with one operator. If a member of the public calls a specific operator because they feel that it is reliable and safe to travel with—I am thinking here in particular about women who are out late at night who may have a preferred operator because they know that they will be transported safely—surely they should have the comfort and knowledge that that company will take them home. There is a risk in passing jobs from one company to another; it is not the wonderful panacea that some of the advocates of deregulation would have us believe. We should think about some of the consequences. should be working collaboratively with the industry, drivers and passengers, rather than just rushing contentious clauses through Parliament. The new clauses are evidently contentious and 10 days’ notice before the Public Bill Committee was completely inadequate to allow for any meaningful consultation. The consequences of the new clauses have not been considered sufficiently. It seems to me that there is a mad, ideological rush to deregulate on occasions. We would not do that if we were talking about firearms regulations, would we? I hope that we would not, anyway. The idea appears to be that we must cut red tape without considering all of the consequences, even though we have set in train the Law Commission, which is engaging in the process. Many stakeholders feel—rightly, in my opinion—that they have been ignored and passenger safety and the enforcement of private hire vehicle registration could be undermined. I respectfully urge the Minister to remove the clauses added to the Deregulation Bill in Committee—he can do that on Report—for the safety and confidence of the travelling public and, indeed, for the reputation and livelihoods of the taxi and private vehicle hire trade. It is a pleasure to serve under you, Mr Chope. I add my congratulations to those of everyone else who has congratulated Grahame M. Morris on securing this important debate. As we have heard, taxis and minicabs are an essential part of our transport network, not least for people with disabilities, women, in particular, for getting home safely at night, and people who do not have access to a car. Regulation of the taxi industry has been around for a long time. A House of Commons Library note says that it could be said to have begun in 1636 under King Charles I. More recently, the issue has come up under successive Governments who, having looked at the evidence, decided to leave regulation of this essential industry in place. How can the Government possibly justify their failure to discuss this change with councils in advance of the parliamentary process? In my city of Brighton and Hove we have 1,800 drivers who serve our city well. I share the deep concerns of many of the drivers whom I have met. They are worried that the Government’s attempt to rush through changes to taxi and minicab regulation will be bad for consumers, bad for our city and potentially dangerous. The changes will allow, as others have said, anyone with an ordinary driving licence to drive a minicab when it is off duty; minicab operators to subcontract to operators licensed in a different district; and fewer licence checks. The measures weaken protection for the public and they should be stopped. The licensed taxi industry has served the public well down the years, but the Government’s desire to shrink the state means that good systems in place for good reasons are under unprecedented attack. Safety is an integral issue. Taxis are essential for so many people, such as women at night, schools or people with disabilities. They have to have confidence and trust in those with whom they are sharing the vehicle. Deregulation could hit safety standards and cause chaos. It is yet another example of a Government who talk up localism while ripping up local powers in the interests of big business. Our tremendous passenger safety culture, which has been established in the industry over many years, cannot simply be disregarded in such a way. There is real concern that the Government amendments could lead to more women being put at risk of assault or attack when they have to travel late at night by unlicensed and unregulated drivers. The deregulation of the taxi industry could also lead to rogue taxi drivers—criminals posing as drivers—passengers being ripped off and chaos on our streets, with people unsure about whether the taxi that they have just flagged down is legitimate. We need to ask why such potentially dangerous changes are being rushed through. We know that good money can be made from the taxi and private hire or minicab industry—Addison Lee has made so much that it is giving it away in large quantities to the Conservative party, and are we supposed to believe that Addison Lee has had no influence on the move to push amendments through before the publication of the Law Commission’s in-depth review of taxi and PHV legislation? We can make of that what we will, but we read that last year Mr Griffin kept up his company’s generosity with an individual donation of £500,000 to the Conservative party—reportedly, the third largest donation in the three months to the end of September. Mr Griffin is clearly a man who has a potential political agenda for the minicab business. For example, he appears to hate cyclists. In comments that beggared belief, he described deaths and serious injuries among inner-city cyclists as “inevitable” and primarily the fault of “untrained riders”. That controversy came less than a week after he had spent several days in the spotlight because he had ordered the drivers of his company’s 3,500 vehicles in London illegally to use bus lanes while promising to indemnify his staff against any fines. Clearly, he thinks he is above the law, and we cannot help but ask ourselves what he might want in return for his large donations. should be following the 2011 proposals of the experts on the cross-party Transport Committee: listening to users, in particular vulnerable groups, to the trade and to local authorities, and keeping the situation simple and local. Thank you, Mr Chope, for the opportunity to speak in the debate. I congratulate my hon. Friend Grahame M. Morris on securing it and on expounding a well worked-out argument, with which I am certain that most hon. Members in the Chamber agree. The Law Commission consultation is extensive, asking many questions and offering several sensible proposals. I will focus on my concerns about the accessibility of taxis and private hire vehicles for disabled people. At the beginning of this year, Boro Taxis, which operates in the south Middlesbrough part of my constituency, hit the headlines in national and local media outlets following what many might see as exploitation of and disregard for disabled passengers. On 31 December 2013, Middlesbrough council’s licensing department was reported to have found that a number of private hire operators were charging disabled passengers—wheelchair users, in particular—up to twice the standard fare, with licensing officer Tim Hodgkinson arguing that this was a “widespread” practice and a “direct consequence” of passengers’ disability. The council sent notices to the relevant operators advising them that it considered the practice to be in breach of their regulatory and statutory obligations. I am sure that most hon. Members find such flagrantly discriminatory practices repugnant. Disabled people throughout the country struggle to access transport as is, and to charge them extra because of their disability strikes me as totally wrong. Does my hon. Friend agree that one of the fundamental principles underpinning the Equality Act 2010 is that disabled customers should not be treated on less favourable terms than able-bodied customers, and that surely extends to the price that fare-paying taxi customers are charged for the same journey? If that happens under the existing regulatory framework, what on earth will things look like if the deregulation programme goes ahead? I agree with my hon. Friend. Such circumstances are occurring now, while the trade is regulated, but my fear is that with further deregulation, instances such as the one I described will become increasingly common and harder for local authorities to monitor and to manage. On 11 January 2014, somewhat astonishingly, the owner of Boro Taxis, Mr Bashir, admitted that his own company policy at the time was “morally totally wrong”. The firm, however, subsequently started to refuse to carry any wheelchair users, arguing that it would be “uneconomic” to do so. 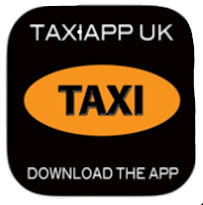 News of the Boro Taxis decision resulted in a ferocious backlash, and thousands of social media users, many of whom were likely customers, called for and pledged to a boycott of the firm. 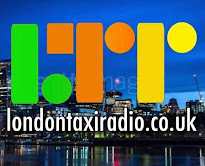 The company quickly performed a welcome U-turn on the decision, given the ensuing negative publicity, but the issue continues to be one that users of the taxi service talk about and it is often referred to when the firm is discussed. That there was even such a proposal in the first place, however, I fear shows an unwelcome eagerness to discriminate and to treat disabled passengers as liabilities, rather than as valued customers. My main fear about the proposed deregulation of the trade is that such practices will become more common. That is only one case, but demonstrates a problem that I suspect, from communications from disabled people throughout the region, to be systemic. The Law Commission is therefore correct to identify equality and the needs of disabled passengers as an area in desperate need of legislative reform. In the consultation, disability groups highlighted the lack of training and disability awareness among taxi and private hire drivers, with issues such as an increased risk of injury due to wheelchairs not being properly secured, or a deaf passenger being unable able to communicate effectively with the driver. That is of course a two-way street: drivers may also injure themselves while helping disabled passengers in an inexpert fashion. Employers have to ensure that their drivers are trained and compensated properly for such training. Some excellent training schemes are available to drivers on all aspects of dealing with people with a disability, such as loading and unloading wheelchair users, securing the wheelchair, or how to operate the swivel seat, the hearing loop and so on. More importantly, however, training will ensure that drivers and indeed taxi firm owners are aware that it is imperative to treat all people of differing abilities with dignity. Various training schemes have been adopted by local authorities, but I firmly believe that national safety standards should be applied as a minimum and that this should include disability awareness training. On a business level, there should therefore be a fair playing field and a good standard of customer services maintained for all, especially disabled people, nationally. Furthermore, a statutory requirement should be placed upon licensing authorities to take steps to ensure taxi and private hire drivers’ compliance with their equalities obligations. Middlesbrough council’s report into accessibility, which highlighted the issue of charging disabled passengers extra, was a welcome step. It will have made a real difference for disabled people in the town. That should be the practice nationwide, and it should be done on a regular and standardised basis. I am aware that some councils are hesitant to undertake monitoring and testing due to concerns about the safety and welfare of their employees, but a statutory requirement of that kind could be met through regular consultation with disabled passengers by licensing authorities, and through improved and easier reporting structures for recording incidents. It is a great pleasure to be able to take part in the debate, and I congratulate my hon. Friend Grahame M. Morris on securing one on such an important issue. I also declare that I am a proud member of Unite the union, which has an interest in the taxi trade. Two weeks ago, my two Bolton colleagues and I attended a meeting in my constituency, which had been called by the National Association of Licensing and Enforcement Officers. In attendance were people from the Law Commission, the Local Government Association, the National Taxi Association, the National Private Hire Association, Unite and the GMB, the police and crime commissioner for Greater Manchester and councillors from a number of Greater Manchester authorities, including Bolton, Oldham, Rochdale, Trafford, Stockport and Salford. It was interesting that those attendees, from a vast range of different backgrounds, all spoke with one voice. They did not understand why the clauses affecting taxis were being rushed into the Deregulation Bill. They wanted them to be withdrawn, and instead wanted holistic legislation, focused on the Law Commission review. In a meeting of such a diverse group of people it is unusual for them all to speak with one voice. We know that there are already problems in the system. For instance, in the north-west, Rossendale has licensed over 1,000 hackney carriages, most of which are being used not in Rossendale but elsewhere. Where are checks carried out, and by whom? We do not have national standards, so we could have a situation in which a taxi that is licensed in Rossendale but would not reach the standards required by authorities in Bolton is driving around in Bolton, and a passenger in Bolton who wants to complain about the taxi cannot do so to officers in Bolton, as they have no right to inspect the vehicle or check the driver. Let us look at the situation in Sheffield. North East Derbyshire district council has licensed a Sheffield-based operator that uses hackney carriages licensed by Gedling borough council. Effectively, no council has regulatory control. Sheffield council is particularly powerless when there are complaints from Sheffield residents about taxis overcharging or poor driver behaviour. There is a similar situation in Medway in Kent. Drivers from Tonbridge and Malling are operating in Medway, which according to my local taxi drivers is exceptionally unfair. The local authority has said that it makes enforcement difficult. Does the hon. Lady agree that taxi drivers should operate in the area in which they are licensed? That makes enforcement easier and makes things easier for the people who use taxis. The interesting question is why Rossendale, for example, is licensing so many taxi drivers. Why is that happening—why are firms going to Rossendale or to Gedling for licences? Is it that the regimes in those places are much easier to get through or that it is cheaper to get vehicles licensed there—what is it about the system there? When the system as a whole is fractured, there are all sorts of ways through it for disreputable drivers, disreputable companies or people who are simply trying to make the cheapest buck they can. possible. We need a framework in which it can happen, under which local authorities can get remuneration to enable them to carry out checks when licensing has been carried out by a different authority. The situation is complicated and is not solved by the legislation. The girl started to get agitated. She had told the taxi driver that she was 16, because her mum had said that she should tell people that she was a little older, thinking that that would protect her—in fact, in the circumstances it appears to have done the opposite. The girl became concerned about the questions the taxi driver was starting to ask her about her social life and so on. Fortunately, she had the nous to get out of the taxi. She played a ruse; she said, “I just want to pop to the shop over there,” got out of the taxi and ran like hell. Fortunately she met a bystander who listened to her, took her to a McDonald’s, called the police and waited with her until they turned up. It transpired that the taxi driver had a record of past misdemeanours. He was taken through the tribunal system and lost his licence, so is now unable to operate in Bolton. But, like me, the girl’s parents were absolutely horrified to learn that although the driver is banned in Bolton he could become a taxi driver anywhere else, depending on whether another local authority were to do a police check—and because he was not actually prosecuted, a police check may not throw up the fact that he is a danger to the travelling public and, it would appear, to young women in particular. That “can” seems inadequate. I have asked questions about whether all local authorities carry out police checks, but as nobody holds the information we do not know. That is another reason why we need holistic legislation that ensures that licensing authorities carry out proper checks on drivers. We need a system in which if a person is banned by one local authority they are banned, full stop. The changes proposed in the Deregulation Bill will make the situation worse, not better. Guy Opperman, who is no longer in his place, asked why family members should not be allowed to use a taxi when it is off duty. I was puzzled myself about that when I met operators and others involved in the industry, and was not wholly convinced by the answers I got, so I asked about whether taxi markings could be removed. I was told, basically, that that would be extremely difficult for taxis operating in my own local authority area—I would guess that would also be the case for all those operating outside London—because they are marked clearly as taxis. Another issue raised was what would happen in areas where taxis are allowed to use bus lanes. What happens to an off-duty taxi then—how would we enforce proper use of bus lanes? We already have a massive problem in all of our areas with unlicensed taxis touting for business, particularly late at night. I am not often in city centres late at night, but I have been there in the past, and it has to be said that one becomes quite desperate for a taxi. In particular, when young people have perhaps been drinking more than they should have, they will not be rigorous about checking the identity of the driver or the car. In those circumstances people are simply pleased to get a lift home. We should not bring in any measure that weakens regulation and makes it more likely that people will be in a vehicle that is driven by someone who is not the licensed driver. There are real problems with the system as it is. I ask the Minister to look seriously at removing the provisions from the Bill and to make sure that we have holistic legislation based on the Law Commission report. It seems a nonsense that we are looking to pass the Bill with those provisions, and I ask him wholeheartedly to remove them. It is important to recognise that 99.9% of taxi drivers, if not more, provide a fantastic service to many of the public. A lot of taxi drivers go beyond their duty, at times. We are not here to have a go at taxi drivers—quite the opposite. We are here to support them and the industry as a whole. I am not sure why on earth the three new clauses to the Deregulation Bill were tabled. It is beyond me. If it is believed that there is a need for legislation, and if that is contentious, perhaps it is in everyone’s best interest to consult the people who work in the industry. As my hon. Friend Grahame M. Morris eloquently said, the Cabinet Office suggests that there should be at least 12 weeks’ consultation for any contentious legislation. Where was the consultation in the present case? Why has there been none? There were 10 days’ consultation—what on earth was the reason for that? I know the Minister will give a full-hearted answer to that question; I just will not be sure about it. What I am sure about is that when the coalition Government come forward with legislation—particularly to do with the Deregulation Bill—it will never be good news for the people working in an industry. I am positive that that is true about the issue we are debating. Bill? It is fair to ask why those reforms have been made in a rush, as last-minute and very contentious—and questionable—new clauses to the Deregulation Bill. I see the Minister smiling. I am sure that he has the right answers, and we all want to hear that the changes are in everyone’s best interest. The Minister has ignored everyone who works in the industry—the people in the trade, and the trade unions, which have been asking for meetings to discuss the matter: Unite, GMB and the National Union of Rail, Maritime and Transport Workers, which take the health and safety of the general public seriously. There have been no consultations with the trade unions or the trade. There is just a cabal of people from Government who want to push through legislation against ordinary working people. I appeal to the Minister to recognise that there is a threat to passenger safety. The Government’s reforms to licences could increase the number of unlicensed drivers. That is something that no one here wants. Unlicensed drivers who can masquerade as legitimate present a huge problem for the general public. I am like anyone else: I have been in the city centre and needed a cab—it need not even be a city centre, but could be somewhere quite isolated. If someone calls for a cab they need to be confident that the driver of the vehicle that comes is a licensed driver for an organisation that they can have full confidence in. Even if, as my hon. Friend Julie Hilling mentioned, someone rolled out of the pub—and there are no MPs who do that, by the way—slightly inebriated at night in the city centre, and there was a taxi there, I am sure they would not knock on the window politely and say, “Excuse me, is this for Mr Ian Lavery of 42 Chiltern close? Sorry, what is your licence number?” That just does not happen. That is why we must ensure that the safety of the public who use the services is paramount. My hon. Friend Lisa Nandy raised an important point about subcontracting. There have been problems in the past, and legislation has been passed about disabled people in cabs, which has been positive, to be fair. However, there will be problems. I want to raise the issue of rogue drivers. What problems might arise? Someone—perhaps a disabled person—who did not have confidence in a particular firm might ring another, but if that firm could subcontract without permission, someone from it could turn up in an isolated place to pick up the individual or group. The problems could be immense, and that is not what we want. My understanding of what the Law Commission is trying to do is not that the broad thrust will be deregulatory at all. In my central London constituency, we have great concern about pedicabs and stretch limousines—two matters that the Law Commission recommends should be brought within the scope of taxi and private hire regulation. Does the hon. Gentleman share my view that it is desirable that the Law Commission should stick to that position and include pedicabs in the scope of regulation, rather than taking a deregulatory approach such as he has described? report should be looked at. There has not been any consultation about input into that, and it has not yet been published. People have not yet had the opportunity for input, as the hon. Gentleman was perhaps suggesting they should. It is simply wrong to say that there has been no consultation on the Law Commission report or that no contributions have been given to the Law Commission. More than 3,000 contributions and submissions have been made to it about the likely report. I fear the Minister picked up the wrong thing from what I was saying. I am complaining entirely about the fact that such contentious measures as clauses 8, 9 and 10, which should have had the full consultation period of 12 weeks, as outlined by the Cabinet Office, have been given only 10 days or so. Whether I put it over wrong or whatever, that is the point I wanted to make. There has been very little consultation about a contentious measure. It might be helpful if the Minister mentioned, when he has the opportunity, whether he believes the clauses are contentious. From what I have read, I think that the Government are saying they are non-contentious, and that would be alarming to say the least. From the Opposition’s point of view, the clauses are deregulation gone mad. They are ideological—an attack on ordinary people and a blinkered pursuit of deregulation at all costs. They risk damaging the taxi and PHV industry, and threaten public choice and safety. Someone mentioned the red tape challenge, but I would rather talk about the challenge of bloodied red bandages. That is how I look at things—with regard to health and safety. The key test that any reform to private hire vehicle regulation should pass is whether it will improve passenger safety. If the clauses do not pass that test, they should be withdrawn. As hon. Members on both sides of the House have agreed, it would be sensible to have full and proper consultation about all and any changes. I simply ask the Minister to withdraw the three amendments, to have full and proper consultation, to listen to the trade unions—the RMT, Unite, GMB and all other unions—and to listen to the people in the trade who operate licences. He would then be in a better position to say where the law needs to be altered. It is a pleasure, Mr Chope, to serve under your chairmanship again. I congratulate my hon. Friend Grahame M. Morris on securing this important debate and other hon. Members—I counted 12—on their excellent contributions. They covered different aspects of the issue, but were united in asking why it has come forward at this time and in this way. covering the sector are based on the needs of passengers and why the bodies responsible for enforcing the regulations must do that with passenger safety and effectiveness in mind. It is widely accepted, including by the Transport Committee’s comprehensive report into the sector in 2011, that the current legislation is outdated and needs reform. As this debate has shown, regulations governing taxis and private hire vehicles are complex and often contentious, so one hopes that the Department for Transport will approach reform in an inclusive, comprehensive and balanced way. As hon. Members have said—I highlight the contributions from my hon. Friend Julie Hilling and Rehman Chishti—this reform is not being carried out in that balanced and comprehensive way. Speeches and interventions today have revealed the grave problems resulting from the attempt to sort the situation out with last-minute amendments to the Deregulation Bill. That has undermined confidence in the previous reform process—the Law Commission’s investigation. There is serious anger and concern from various stakeholders who have felt ignored or marginalised in the process. As my hon. Friend the Member for Easington explained, the Government’s guidance on consultations stresses the importance of adequate time, engagement and transparency with key stakeholders in policy making. However, in this case and despite the fact that, as the Minister said, the Law Commission was already consulting before introducing these proposals, Ministers decided that informal consultation based on piecemeal reforms would be enough and that it would take 10 days—eight working days. 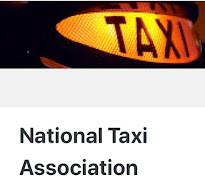 I hope the Minister is aware of the views of a host of organisations that have expressed concern: the National Private Hire Association, Unite, which is my union and that of other hon. 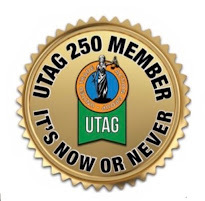 Members here, the GMB, the RMT, the National Association of Licensing and Enforcement Officers, the Licensed Private Hire Car Association, the National Taxi Association and the Local Government Association. They are not just one set of interest groups; they represent a crescendo of concern. I will echo what my hon. Friends have asked. Given that Government guidelines say that up to 12 weeks is necessary for adequate consultation, why does the Minister believe that 10 days is adequate in this case? Why was it not made clear to stakeholders involved in the informal consultation that these measures were intended for inclusion in the Deregulation Bill? It would be helpful if the Minister clarified why the measures were not initially proposed on Second Reading of the Bill. Was there a specific reason, or was it to minimise parliamentary scrutiny and opposition? least have the safeguard that only licensed drivers can drive PHVs, but the Government propose to remove that without giving councils additional enforcement powers. Currently, licensing officers have no power to stop moving vehicles, to prevent drivers from driving off or even to request a driver to reveal their identity. The Minister will probably say, “Don’t worry. It works in London, in the capital.” As has been made clear, the situation in London is different. Since responsibility moved to Transport for London, I understand that on-street enforcement is conducted with a police presence, or the police are called on to act when necessary. We simply cannot assume that that would be the case elsewhere. As my hon. Friend Mr Cunningham said, the health and safety consequences are very real indeed. It is simply not good enough for the Government continually to dismiss these widespread concerns. When will the Minister recognise that additional enforcement powers are necessary if he is going down this road? If he recognises that, what should they be? Secondly, changing licensing terms will make it even harder to monitor and take action against non-compliant drivers of taxis and private hire vehicles. The vast majority of drivers are excellent, and—pardon the pun—will go the extra mile for their passengers, but we know that things sometimes go wrong. If we need more reminders of that, we can do no better than to remember the story from my hon. Friend the Member for Bolton West about the 16-year-old in her constituency. If the Government introduce the proposed requirements, how will they ensure that they are effectively policed and monitored? The Government propose to implement an extremely contentious policy to enable some subcontracting by PHV operators across different licensing districts. We have been told today by my hon. Friends the Members for Wigan (Lisa Nandy), for Middlesbrough South and East Cleveland (Tom Blenkinsop) and for Middlesbrough (Andy McDonald) about some of the problems that may arise, particularly in respect of people with disabilities. When will the Minister accept that the drafting of the clause is completely inadequate if we are to make cross-border hire work effective? My hon. Friend raises an interesting point that I did not cover properly. Does he share my concern that, far from increasing employment opportunities, as has been suggested, the contracting-out clause, which is the most damaging, is likely to dilute and drive down earnings if drivers are subcontracted in from neighbouring areas at a lower rate? That would be bad for the taxi drivers as well. I am sure it would be bad for taxi and PHV drivers. The key point that the Minister must address is how the system will be policed. If we know that local authorities already have inadequate control and powers for effective policing, how can an extension of cross-border work be policed effectively? powers for licensing officers, such as the ability to stop licensed vehicles, to impound PHVs and to issue fixed penalties. Those powers, if they are to work, would need to apply in respect of out-of-area vehicles to ensure that cross-border hire can be implemented safely, too. Why, therefore, have the Government not listened to the Law Commission? As the Government have said, it has had an extensive consultation process on a complex issue, including more than 3,000 written responses from across the trade, a four-month series of 84 meetings and an industry survey. Amen to that, but if Ministers are determined to plough ahead with reforms before the Law Commission has reported, was the review that they commissioned just a complete waste of time and taxpayers’ money? After continuous delays, the Law Commission’s final report and draft Bill were finally expected—we were told—in April. We now know that they will come in May, after the local and European elections, it seems—presumably because the issue is so sensitive. Is that not clear proof that the Government’s proposals are far too controversial and complex for the paltry 10-day consultation that they had in this case? The Government are making the point—and will no doubt argue again today—that the reforms are about cutting red tape. However, as my hon. Friends and other hon. Members have made clear, far from cutting red tape, they could increase it. They will increase uncertainty and the potential danger to passengers. The Government state that the reforms will reap benefits for the trade. In light of the concerns I have raised, I want to ask the Minister this: if he really feels that, does he have a shred of evidence to back it up? I am extremely grateful to my hon. Friend the Member for Easington for giving us the opportunity to debate these issues today; sadly, the Government have not provided the House with such an opportunity so far. They have tried to rush the proposals through without adequate parliamentary or public scrutiny, as today’s debate has made abundantly clear. Taxis and private hire vehicles are important parts of our transport system, but as we have heard, the legislation regulating them is complex and contentious. It requires close collaboration with a wide range of stakeholders if it is going to be reformed effectively. The Government’s attempts at deregulation have not only been woefully inadequate in doing that, but, as I said, they have undermined the process that they established with the Law Commission investigation. The result is a set of piecemeal proposals so poorly thought through that they threaten public safety and are set to increase bureaucracy and litigation for the trade. I urge the Minister to reconsider these rushed reforms. If he will not do that today—and I hope he will—I assure hon. Members that when the Deregulation Bill reaches Report, Labour will move to delete new clauses 8, 9 and 10. To do otherwise would represent a complete disregard not only of the taxi and private hire vehicle sector, but—perhaps even more importantly—of the interests of the public, who rely on the sector as an important means of public transport. It is a pleasure to serve under your chairmanship, Mr Chope. Like everybody else, I congratulate Grahame M. Morris on securing the debate on the proposed reforms to taxi and private hire vehicle regulation that we have been discussing. A number of contributions have stressed continuing themes: first, the lack of consultation; secondly, concerns over safety; and thirdly, concerns about the proposals being piecemeal. I hope to address all those points in my speech, but let me start by saying that important issues were also raised about accessibility and, from Lisa Nandy, who is no longer here, about guide dogs. Let me put on record right at the beginning that nothing in the measures impacts on accessibility in any way. If anything, there are real opportunities to improve accessibility. Let me make it absolutely clear that there are no plans to change any relevant legislation with regard to guide dogs. The Government are considering commencement options for section 165 of the Equality Act 2010 that will set out in greater detail the requirements of drivers when assisting wheelchair users. I also point out that a lot has been made of subcontracting and of potential restrictions. Of course, subcontracting would allow private hire vehicle operators who do not have wheelchair access vehicles to subcontract to private hire vehicle operators who do. On that specific point—the assurances the Minister gave that nothing would be changed in relation to disabled access—one criticism I have received representations about is that the amendments, hastily drafted as they are, have not addressed case law where some of those things could have been looked at. It would obviously be more opportune to look at the issue in the round with the Law Commission report, but is it not a bad thing not to address previous case law, particularly in relation to discrimination against disabled people and access? As I have set out, we are looking at commencement orders that will set out some details and obligations more carefully. There has been a huge amount of talk this afternoon about the trade, which many of us rely on heavily on for our everyday lives. The sector is also made up of thousands of small businesses; indeed, the single owner-driver is a typical feature of the industry. As Ian Lavery said, these businesspeople are experts who often go the extra mile. That was something I certainly agreed with him on, although I suspect that the hon. Gentleman and I did not agree thereafter. be presenting a report in the next few weeks—and at that stage, as with all reviews and reports, the Government will review the whole of those detailed findings and recommendations. We gave the Law Commission a simple instruction, which was that it should carry out a review with a clear objective to deregulate as far as possible, and after careful consideration, should the Government decide to take forward legislation arising from the review, we will do so in a way that removes burdens and ensures that safety is still paramount. The publication of the Law Commission’s report has been delayed by several months, so there was no chance to have a dedicated Bill in the final Session in order potentially to introduce some of the wider reforms that the Law Commission will shortly recommend. I wonder what the point of the Law Commission report is if the clauses are put in the Deregulation Bill. What if they are contradictory and what happens to the rest of the Law Commission’s work? I would be grateful if the Minister could explain to us what will happen with the Law Commission report if it comes up with some really positive suggestions. I expect the Law Commission to come up with a lot of positive suggestions and a lot of recommendations on removing some of the more archaic aspects of the existing legislation. I do not expect any of what is being proposed to contradict in any way that report. We have had to weigh up the case for finding a suitable opportunity to look at pragmatic changes in the immediacy rather than looking at the possibility of waiting until everything is reviewed. The Government have chosen to operate and act pragmatically, and to introduce limited measures at this point, because it is clear that the care we are taking to introduce the amendments will make life easier for small businesses and allow them to remove some restrictions that are completely unnecessary. That opportunity has been presented by the Deregulation Bill. 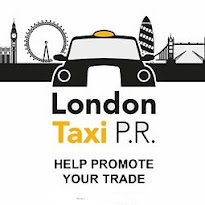 It allows us to make immediate progress to assist both taxi and private hire businesses. My hon. Friend the Minister is absolutely right. This issue is a frustration for us all. As I mentioned in my earlier intervention, I would like pedicabs to be brought within the scope of regulation and the Law Commission is quite keen that they be regulated. But clearly, once the Law Commission reports, it will take some time before a Bill gets on to the statute books. I say to all Opposition Members that it surely makes sense that elements of deregulation that apply to all small businesses, whether in the private hire vehicle industry or elsewhere, should become apparent sooner rather than later, given that it will probably be, I fear, the next Parliament before we can get the fruit of the Law Commission’s work into a Bill that, I hope, all of us will be able to support in Parliament going forward. pedicabs should be regulated and the member of the Government saying that they should not be. Perhaps there has been a change of view on regulation. I see this as the first part of a journey that my hon. Friend is right to say is likely to take longer than the lifetime of this Parliament, because of the necessary review of the Law Commission report. Let me just state this on the record. I do expect there to be more comprehensive reforms. We have asked the Law Commission to undertake extensive consultation, and it has done that. I referred earlier to the more than 3,000 responses that there have been already. It is worth stating on the record that each of the measures that we propose we have already discussed in detail with the Law Commission. That surely is not something simple and uncontentious. It requires rather more scrutiny than the Government are giving us today. The whole issue about people who choose to put their licence at risk is about enforcement. I will come on to that direct point in a moment, but I want to set out exactly what these three measures are designed to do. We want to work with private hire operators to help businesses to flourish and grow; we want to make life easier for passengers; and we certainly want to ensure that safety is at the forefront of all that is being done. Private hire operators have said that the existing restriction on sub-contracting such that people can subcontract only to operators based in the same district is frustrating for many of them and artificial. It means that often they have to tell passengers that they cannot take their booking. Allowing private hire operators to subcontract to operators licensed in a different district is a simple change. It will have a huge impact on the ability of operators to meet passenger needs and to grow their businesses, and it should help to make the passenger’s experience much more convenient. In short, it is a liberating measure. It will allow the private hire trade to operate in the way that it sees fit, not just in the way that the current legislation dictates. There has been some talk about accountability. It is absolutely clear that there is no compromise to the liability in respect of passengers. The Bill makes it absolutely clear that the onus is on the original operator, who accepts the booking and subsequently passes it on, to retain liability for the satisfactory completion of that journey. It is also clear there is a duty on the operator who takes the booking to keep a full record and to report the full record of that journey. The second measure proposed in the amendments to the Deregulation Bill will save the private hire trade many thousands of pounds. At the moment, private hire vehicles can only ever be driven by a licensed private hire driver. That creates a substantial burden for the trade, as in many cases people have to buy a second car for family members to drive. That is an unacceptable restriction, particularly in the current economic climate. It came about only because of an unexpected interpretation of the law in a legal judgment back in 1997. At a stroke, that meant that thousands of families had to buy a second car in order to remain within the law. That is a burden too far and one that is ideal for reform using the Deregulation Bill. Therefore, we propose to change the law so that any person with the appropriate driver’s licence and insurance can drive a private hire vehicle when it is off-duty—when it is not in use in connection with a hiring for the purpose of carrying a passenger and not immediately available to an operator to carry out a booking. In that way, private hire vehicle owners and their families stand to make substantial savings. There is a precedent for the change that we are introducing The judgment was made in 1997. Parliament took account of that judgment when framing the much newer legislation governing private hire vehicles in London. The Private Hire Vehicles (London) Act 1998 allows a person who does not hold a private hire driver’s licence to drive a licensed private hire vehicle while it is off duty. Quite rightly, some concerns have been expressed about safety and the effective enforcement of the measure. That is why in the clause that introduces it, we introduce a reverse burden of proof. If a driver without a private hire vehicle driver’s licence is caught driving a private hire vehicle with a passenger, the clause puts the onus on that person to show that the vehicle was not being used as a hire vehicle at the time when it was being driven. That reverse burden of proof will make things substantially easier for enforcement officers and overcome a number of the concerns about enforcement that are being raised. Of course, in most cases, it will be abundantly clear in a matter of seconds that the passenger is in the vehicle as part of the general domestic use. It will also become apparent very quickly if the driver’s sole reason for being in the vehicle is to undertake private hire work. It seems absolutely reasonable to put the burden of proof on the driver to show that they are not driving for private hire purposes. That reverse burden of proof is significant and it enhances the enforcement powers. If people consider it carefully, they will see that that safeguard goes a long way towards meeting the concerns about safety and enforcement. 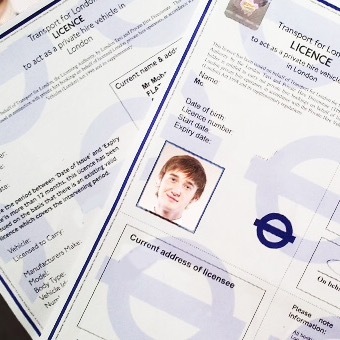 The third measure relates to taxi and private hire vehicle driver and operator licence durations. Again, there has been much talk about cost, but there are also savings. This measure will save about £9 million for the trade, as well as a great deal of administrative hassle. At present, the law allows local authorities to grant taxi and private hire vehicle driver’s licences for a maximum of three years. However, far too many authorities are opting for shorter periods. Therefore, three years will be the standard duration for all taxi and private hire vehicle drivers. That seems to me to be a perfectly sensible standard to move to. general public is of course paramount. The licensing system, though, should be proportionate. It should recognise that where there is a requirement, there is also a cost. It is a question of striking a balance. As the hon. Member for Wansbeck said, 99.9% of drivers are safe and responsible. The licensing of those drivers should be proportionate. I hope that in the few minutes available to me I have been able to demonstrate that the Government have considered the measures carefully. They are pragmatic amendments to the Deregulation Bill. They will allow substantial scrutiny in Committee and will reduce the burdens on the taxi and private hire trade. They are effective and safe steps along the longer deregulatory journey.